"Aldrin courted controversy when others believed that he was an­gling to become the first man to walk on the Moon, ahead of mission commander, Neil Armstrong. Aldrin attempted to explain his ra­tional: 'Throughout the short history of the space program, begin­ning with Ed White's space walk, and continuing on all subsequent flights, the commander of the flight remained in the spacecraft, while his partner did the moving around. I had never given it much thought, and had presumed that I would leave the lunar module and step onto the Moon ahead of Neil.' Aldrin's misconceptions were given additional weight when the Chicago Daily News and New Orleans' Times-Picayune headlined stories in late February of 1969: ALDRIN TO BE THE FIRST MAN ON THE MOON. "NASA's leadership team soon clarified matters, announcing that Armstrong would be the first man to walk on the Moon. The politically correct explanations were twofold -- Armstrong was a ci­vilian pilot and NASA was a non-military government agency; and, Armstrong's position in the lunar module, nearer the hatch, made it easier for him to exit the spacecraft first. In reality, the personali­ties of the two astronauts played a significant role in the final deci­sion -- Neil Armstrong was better liked, and many NASA officials believed Buzz Aldrin had forcefully lobbied for the honor. 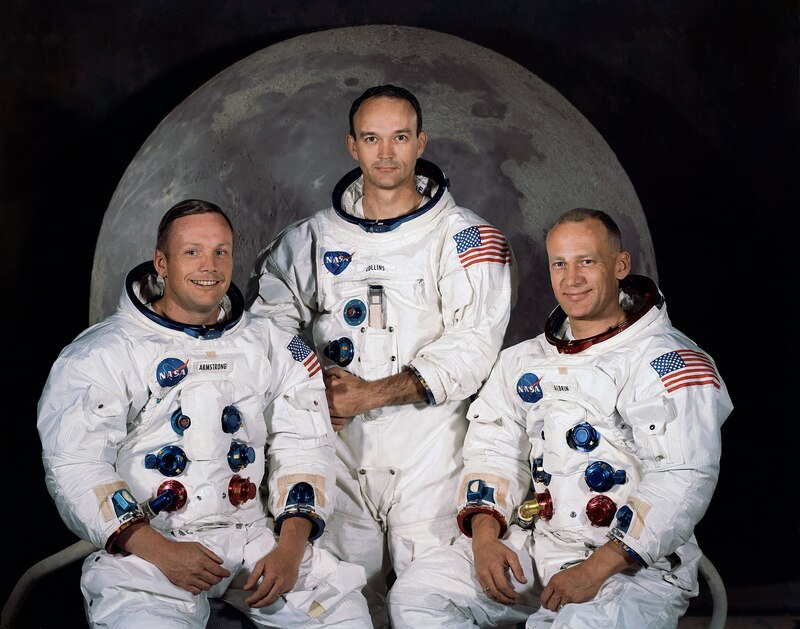 The final decision was made by Deke Slayton, Director of Flight Crew Operations, Bob Gilruth, Director of the Manned Space Center, George Low, Apollo Program Manager, and Chris Craft, Director of Flight Operations, during a March 1969 meeting in Houston. "On April 14, 1969, the New York Times ended all speculation, reporting that Neil Armstrong would be the first man to walk on the Moon. "'Buzz Aldrin was crushed, but seemed to take it stoically,' Craft later opined."